It is often said that exposing your toddlers to music early is great for their development. I really agree with this statement and wish I had started even earlier. I started playing the piano when I was 9 and I learned so much from the experience of it. 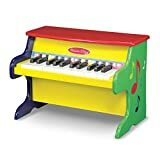 I think that a toddler piano is a smart gift for kids as it gets them used to the instrument early on. A toddler piano is something that isn’t going to be super professional generally, but it allows the child to start to get the hang of playing the instrument. It is smart for parents to introduce their kids at an early age because it will have an impact on them during their musical journey in the long run. Exposing your toddler to the piano at a young age has been proven to be good for the brain. Doctor’s have been talking about the positive impact music has had on children’s development for many years now. I believe that having a keyboard for a toddler is smart because it is something they can use as a toy and potentially spark an interest with them. Having a piano for toddler’s is smart because they are relatively cheap, they can act like a toy, and they’re also a great way for your child to begin to learn. If your toddler begins to play similar notes and learn what type of sounds they are playing and taking a liking to, they are already learning. It is a great thing to see a child’s eyes light up as they press down on a key and hear a noise. This guide is meant for children 3 and under. If your child is older than 3, check out the best kids piano here. The Casio SA76 is affordable and it also gives you better sounds than some of cheaper kids keyboards listed above. The reason why this is cheaper is that it only has 44 keys and they’re smaller keys. Having mini keys is good for a toddler because their fingers are much smaller than kids are. This comes with 5 drum pads that make noise when you hit them. The noises are different drum sounds such as the snare, kick drum, tom, and hi-hat. There are pictures above the drum pads to help your child decipher which sound they’re playing. The LCD screen on this keyboard is nice because it is big and easy to read. This keyboard has 100 different sounds to pick from and the speakers are surprisingly loud. There is 8-note polyphony on this keyboard meaning your child can hit 8 notes at once and hear them all. The Casio Sa76 is powered by batteries, but it can also be powered by a power adapter you would purchase on the side. You need 6 AA batteries for this keyboard so I would recommend buying a big pack of batteries to save money in the long run. The Schoenhut 30 is a piano for babies and it can be used until about 6-7 years of age. These look really cool in the fact they resemble a baby grand, yet they’re really made for babies and toddlers. The sound of this is very metallic, but not in a bad way. Obviously, since it’s meant for toddler’s it’s not going to sound like a real piano. This is meant to look really cool and also provide a good experience to get your child ready to hopefully transition into a bigger and better keyboard down the road. As we stated earlier, the sound on this isn’t going to blow you away, but it does come with a bench for your toddler to sit at and play. I would relate the sound of this more to a xylophone than a piano. This keyboard comes in different colors, so be sure to check out what colors are available for it before buying. The manual makes it rather easy to assemble as long as there are no faults in the product that was shipped. If you are having a hard time assembling it could be a faulty product and you should just contact customer support and have them resend a new one. Below is a video of this keyboard in action. 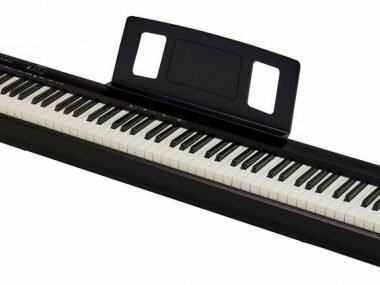 The Korg tinyPiano is listed as a toy piano, but it’s definitely not a toy. When you compare the sound of this with the Schoenhut baby grandkids piano, they’re not comparable. This sounds like a real piano whereas the Schoenhut sounds like a xylophone. 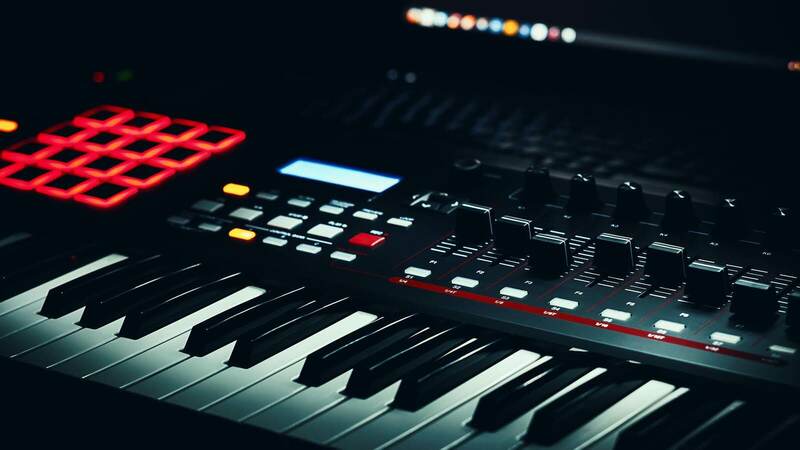 Korg makes some very high-end digital pianos so when it comes to making a quality product, they’re no stranger. What I will say is, how important to you is it that the keyboard for toddlers you buy sounds real? Most of the time you use these instruments as a transition into a better more expensive keyboard for your kid. However, if you have the budget, then this is your top option as far as sounding like an actual piano. I would recommend this for anyone under 6-7 years of age. 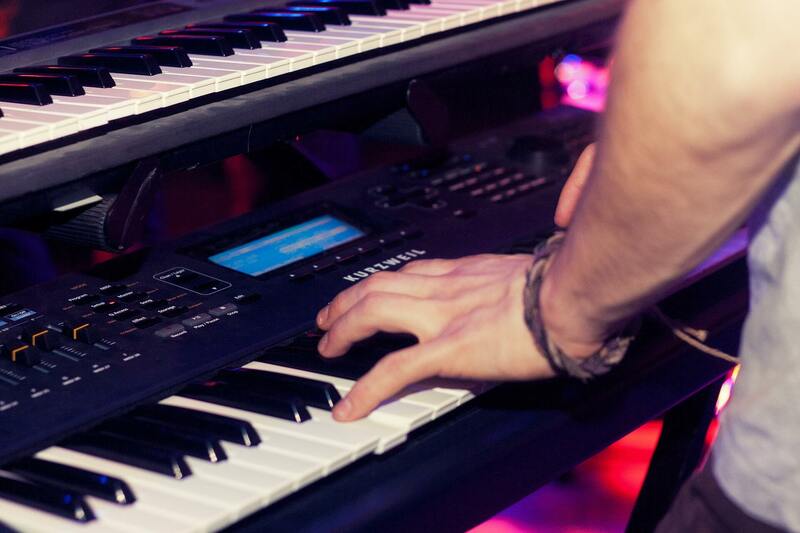 The Korg tinyPiano comes with 25 built-in sounds and 50 built-in demo songs. A nice thing about this keyboard is that it is powered by AA batteries so you don’t have to plug it in. The battery life will get you around 6 hours depending on how much you’re using it. Let’s take a look at a video below. The Melissa & Doug 25 key piano gives you a cool look, but it is still a toy. 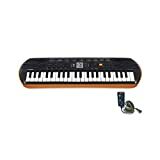 The price on this keyboard is on the cheaper side for having an instrument that looks like an upright piano. Keep in mind that the sound isn’t going to be incredible since it’s a kids keyboard. It comes with an illustrated color book with 9 different songs in it for your child. The songs are definitely kid-friendly as they are classics like, ” Twinkle Little Star”, and “Row Your Boat.” The notes are color coded above the keys to help your child with remembering where the notes are in the beginning. This keyboard is constructed of sturdy wood and it feels pretty durable. You can use this keyboard for toddler’s at your own discretion, one thing I will mention is that there are screws on this keyboard. It shouldn’t be a problem as long as you are watching your child and making sure the screws don’t come loose as you don’t want them to choke on a screw. The Vtech KidiStudio is a toddler’s toy piano that I really like. Keep in mind again, this is a toy, this is not a professional piano or keyboard. This instrument for toddlers comes with a microphone and it also allows your kids to record. This is a cool feature as your kids get older. The VTech KidiStudio is meant for kids who are 3-6 years of age so they can take advantage of all of the features. This is a fun instrument to sit with your child and learn with them. The sounds again aren’t going to be spectacular, but they’re really not supposed to be for a toy piano. It comes with drum tracks so your child can play along and keep the beat. This instrument is powered by AA batteries which makes it very portable as well. This toy is a little bit more expensive, but I would take this over many of the other toy pianos. The Little Tikes PopTunes keyboard is good baby piano to start off with. This is a toy and it is also very cheap. The sound isn’t anything crazy, but at 1 year old, the sound needs to do enough just for your child to hear it and enjoy it. These aren’t crazy loud, which can be a plus if you’re worried about your child driving you crazy with noise. All of the keys are functional which is nice since a lot of pianos for toddlers are more so for show and don’t work properly. The keys light up with LED lights that are located inside the toy. This is a toy that is meant to keep your child’s attention and get them interested in the piano as an instrument. I’m a firm believer that exposing kids to musical instruments early is a wise choice. The recommended age on this keyboard is ages 1-5 and I think this is smart. I wouldn’t purchase this for a kid over the age of three personally as there are other more suitable options. It requires 3 AA batteries and it gives you a pretty long battery life as well. If you are finding these options to be great, check out my review I just did on the best melodicas. This is important, but the age is going to vary. Not all kids are going to learn the piano at the same rate and this needs to be accepted by parents. If your toddler is learning at an exceptional pace, you might want to begin lessons at as early as 3 years old. However, you don’t want to force lessons on your child as you can burn them out early as well as make them lose interest. I recently did a complete guide to the treble clef and I recommend checking it out as I break it down in super simple details. Learning the piano is something that your child should be passionate about if you want to see great results. Reading notation at an early age is great because being able to read music makes you very versatile as a musician. Learning how to count notes and learning time signatures will give your child an advantage over kids who are starting with no musical knowledge. 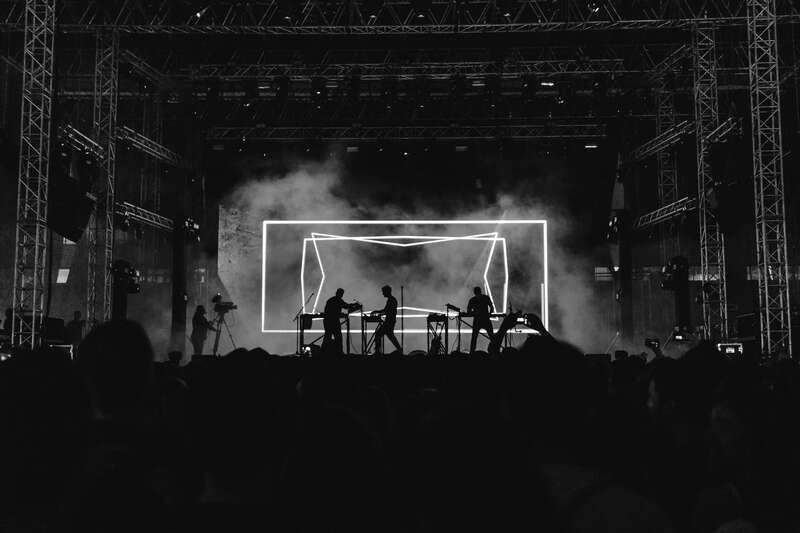 I wouldn’t recommend going crazy with learning how to read music, but when you feel they’re ready and they are interested, it can only help further their knowledge. Whether you’re trying to decide on a piano for a child or toddler, we hope this list helped you decide on the right instrument. There are many things to take into consideration when looking for the right piano. Let us know if we didn’t mention current products that you are using and enjoying in the comment section below.